N.B. : In the Play Store and App Store search: Laboratoire LAB2M. Search our App on google Playstore : Laboratoire LAB2M . 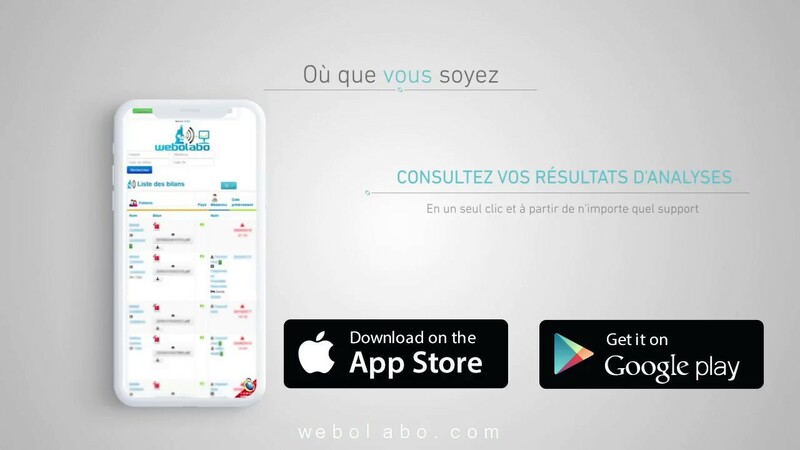 Search our App on l'App Store : Laboratoire LAB2M .